McALLEN — After more than a year of having limited hours for southbound crossings, the Anzalduas International Bridge will now be open for empty trucks from 8 a.m. to 10 p.m. daily. The extension began Jan. 15 and will be re-evaluated in October, McAllen Superintendent of Bridges Rigo Villarreal said. After servicing southbound empty trucks from 3 to 10 p.m. daily since August 2016, Servicio de Administracion Tributaria, Mexico’s equivalent of Customs and Border Protection at ports of entry, decided on the change. 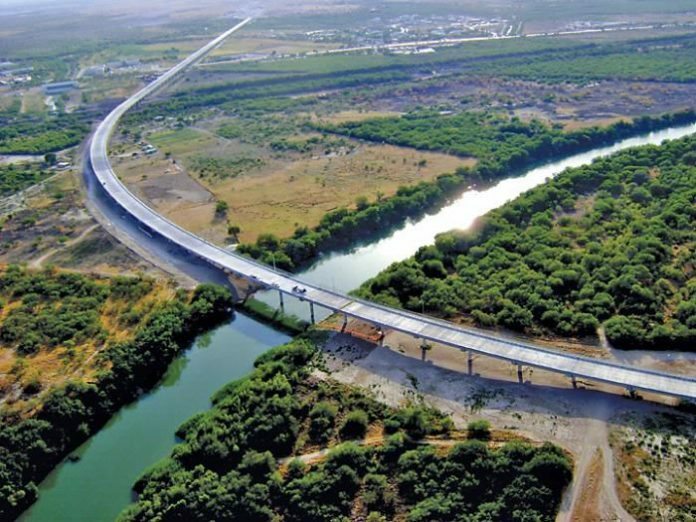 Mexico is in the middle of a large construction project on its side of the Pharr-Reynosa International Bridge, Villarreal said. Pharr is the only full-service bridge in the area, with cars and commercial cargo flowing both north and south. The Anzalduas bridge only has southbound empty truck traffic, in addition to cars. The bridge has seen a significant increase in southbound empty truck traffic, Villarreal said. How much Anzalduas will cut into Pharr’s southbound truck numbers is unclear. Despite several months of declining southbound car crossings across all bridges in the area, Pharr has had increased southbound truck crossings. Comparing December 2016 to December 2017, 3,988 more trucks crossed the bridge.